Ummm hello? Anyone here? I am happy to report that I am back in action. Hallelujah. Rejoice and be glad. 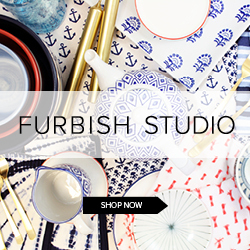 I know I have missed the boat on helping you decorate your space for the holidays, shame on me. But I am making up for lost time and we are going to be doing a crash course on the holidays. Procrastination has ALWAYS been my forte, so why not pass it along to you love muffins? 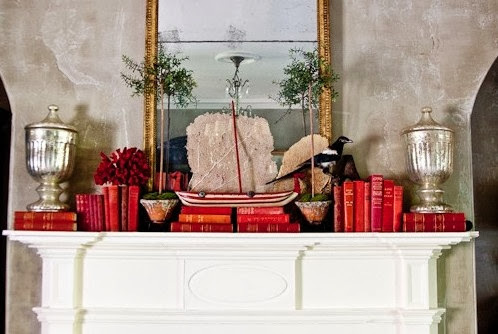 So I have to tell you, my favorite part of holiday decor always happens to be the mantle. Why you ask? Can't tell you. You're not old enough. But seriously, I feel there are so many ways you can mix it up to make it your very own. Go super traditional with reds, greens, Christmas plaid and fresh greenery. 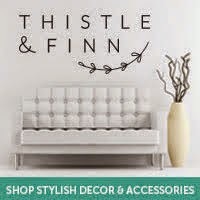 Or funk it up with non traditional elements such as a monochromatic color scheme by layering books and other fitting items. 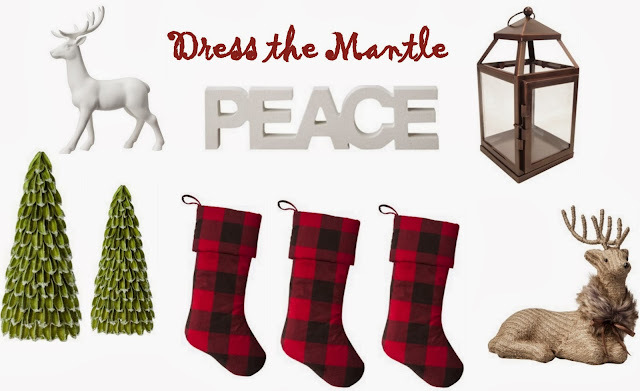 Get your mantle on. As you all know, I have champagne taste on a PBR budget. I mean why ever pay more? Target is my go to for holiday decor. A little of this, a little of that and next thing you know, your mantle is ready to roll. ooo I wish I had a mantle this time of the year! so pretty! Love all these. 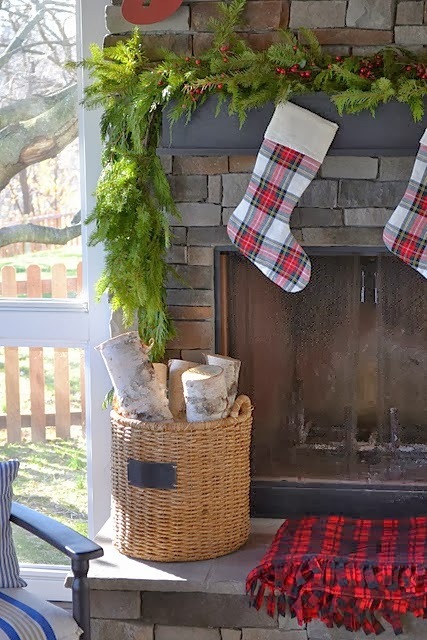 I so wish we had a mantle and fireplace this time of the year. Glad you are back blogging! I love everything!! Target always has the best holiday decor. I love all your images. 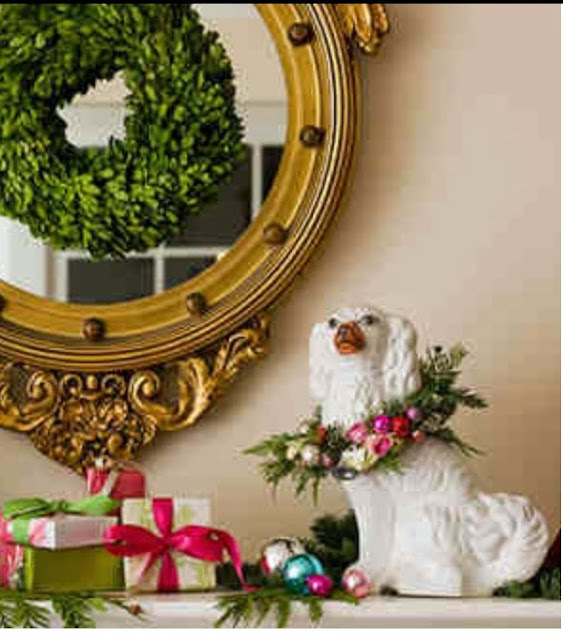 Oh I LOVE the Staffordshire dog with the wreath!! So good to see you, Lindsay! Great inspiration pics. The mantle is always my favorite part too. Yay! You're back! We missed you!! 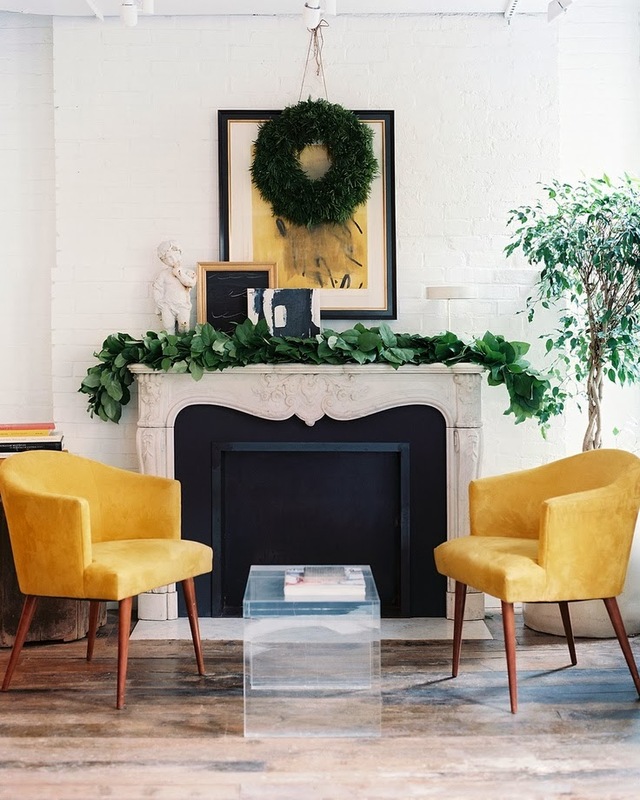 Love the holiday inspiration! So happy you're back! Won't lie, I've had withdrawals. 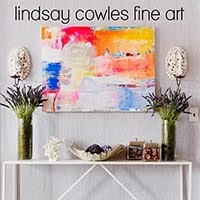 Love these beautifully classic mantles, Lindsay! Yay, so glad you're back!! !